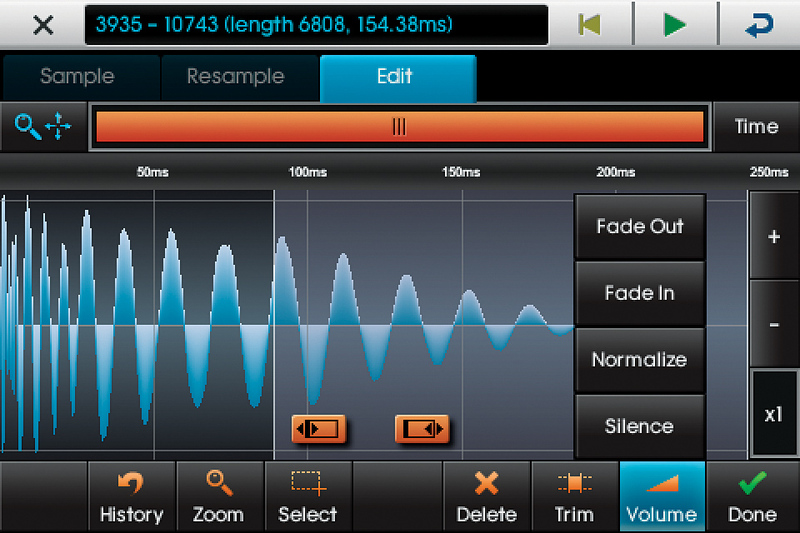 NanoStudio: a DAW in your pocket. 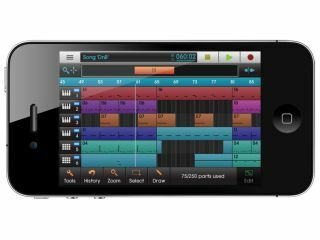 Blip Interactive's NanoStudio is arguably the best iPhone music-making app you can buy. There's plenty of competition for that accolade, but if you want to create complete tracks in a single piece of software, there's nothing else currently out there that can touch it. 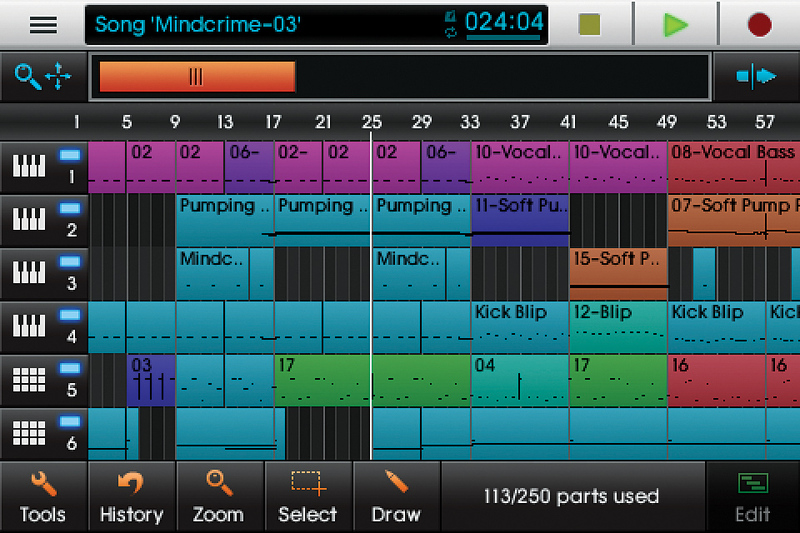 If you're a budding NanoStudio producer, check out these eight power tips. The Hold function of TRG-16 is very handy, but it can produce some odd buzzing sounds with fast attack/release times, especially on bass sounds. If you're only using it for basic envelope shaping, you might be better off forgetting about the Hold mode and instead using the Fade In and Fade Out functions in the sample editor to achieve the same thing without the buzzing. Get your iDevice loaded up with some quality sample packs and NanoStudio will thank you for it. You have to use the NanoSync desktop app to do this, but it's well worth it, and the v1.1 update makes the whole process pretty much drag-and-drop. 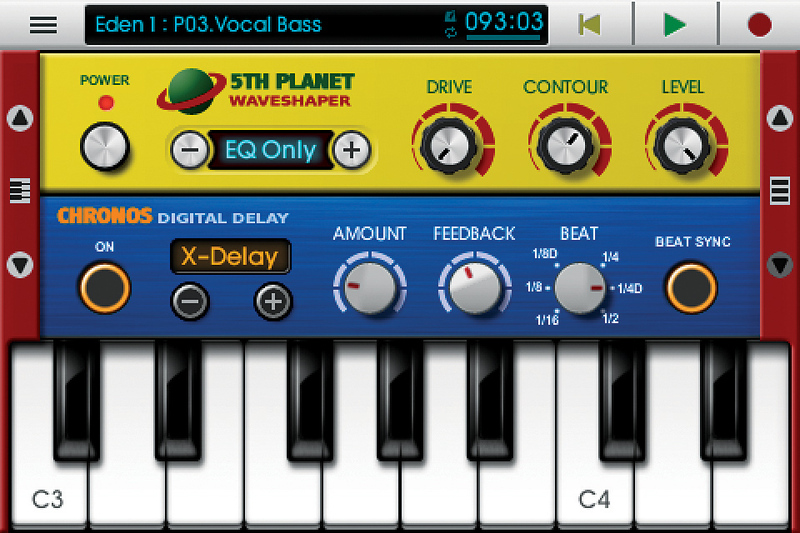 NanoStudio doesn't have a dedicated EQ module, but the 5th Planet waveshaper in Eden can function as one - just flip through the modes till you get to the last one, EQ Only, and twist the Contour knob to darken or brighten the sound. You can always resample sounds through it, too, if you want to use them in TRG-16, and, indeed, you can use Eden's filters in this manner for basic high/low cutting. NanoStudio's preset system is a little odd, we have to say. Make sure you get into the habit of saving your tune's presets regularly into the Project bank (the Global banks are shared between all projects) because unless you actually hit the Write button, your carefully crafted sound will be lost as soon as you switch to another patch. Whenever you save your song, it pays to flip through each Eden and save the presets too. In terms of pure quality, NanoStudio isn't the cleanest app out there, and you may notice aliasing (high-frequency noise) when pitching samples away from their root note. If you're not using Eden's filter for anything in particular, try applying a low-pass filter with a high cutoff and the Q at minimum - this can soften the abrasive top end. Of course, sometimes that digital grit is just what the doctor ordered, though! While it's true that you can use NanoStudio's automation features to subtly change parameters over time, if you just want variations on an Eden patch (eg, to open the filter cutoff wider during the chorus), it's easier to make a new patch and switch to it using the patch-changing system. We also find that with complex projects, it makes more sense to leave the mixer faders at unity and deal with level changes on a patch-by-patch basis. You'll probably load incidental noises like crash cymbals, build-ups and FX into the TRG-16, as this seems the most logical place to put them. However, if you can spare an Eden channel, consider making custom Eden patches for them, as you'll gain enormous flexibility and be able to use the chorus and waveshaper effects, too. And if you're planning on using tom fills, loading a single tom sound into Eden and playing it chromatically will free up the multiple pads you'd have to use on the TRG-16. Blip Interactive recently released version 1.12 of NanoStudio, which adds support for Akai's SynthStation 25 MIDI controller, song/metronome monitor during sample record and improved sample interpolation quality.